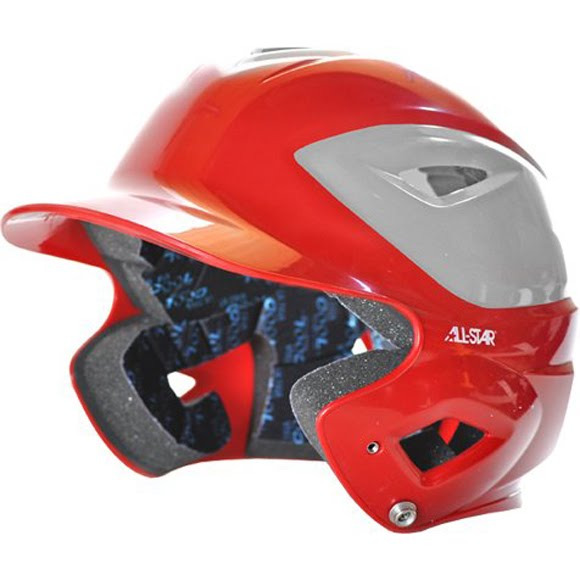 Stay protected during your next game with the BH3000TT Two Toned Batting Helmet from All Star. The shell design deflects balls away from critical areas such as the temple and submerged ventilation ports and corrugations increase shell strength. Stay protected during your next game with the BH3000TT Two Toned Batting Helmet from All Star . The shell design deflects balls away from critical areas such as the temple and submerged ventilation ports and corrugations increase shell strength.